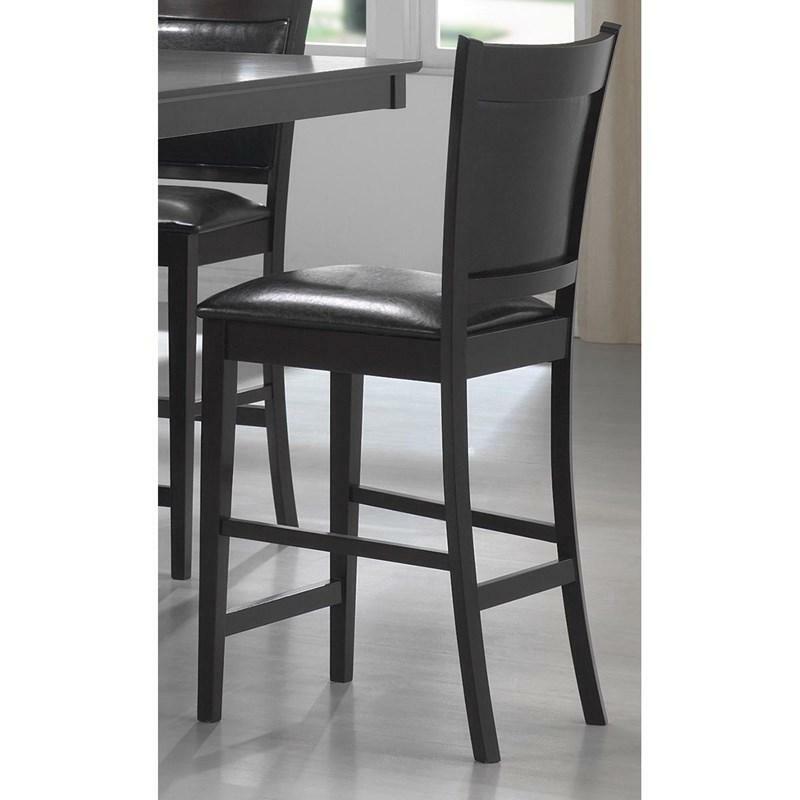 A simple and elegant Jade Counter Height Stool by Coaster Furniture is made of select hardwoods and okume veneers with upholstered back and seat in a black leatherette. Tapered legs on the front and saber legs on the back complete the design of this espresso finished piece. Volume 3.4 cu. ft. / 0.10 cu. 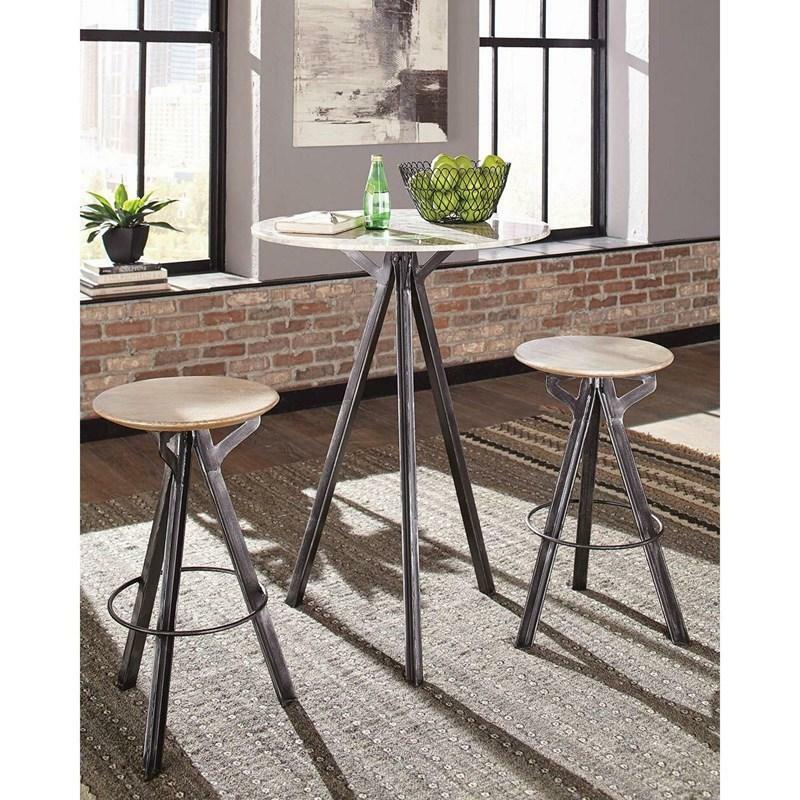 m.
This industrial style Bar Table makes a fun addition to your home. It features a marble round top and wrought iron base finished in antique gunmetal. 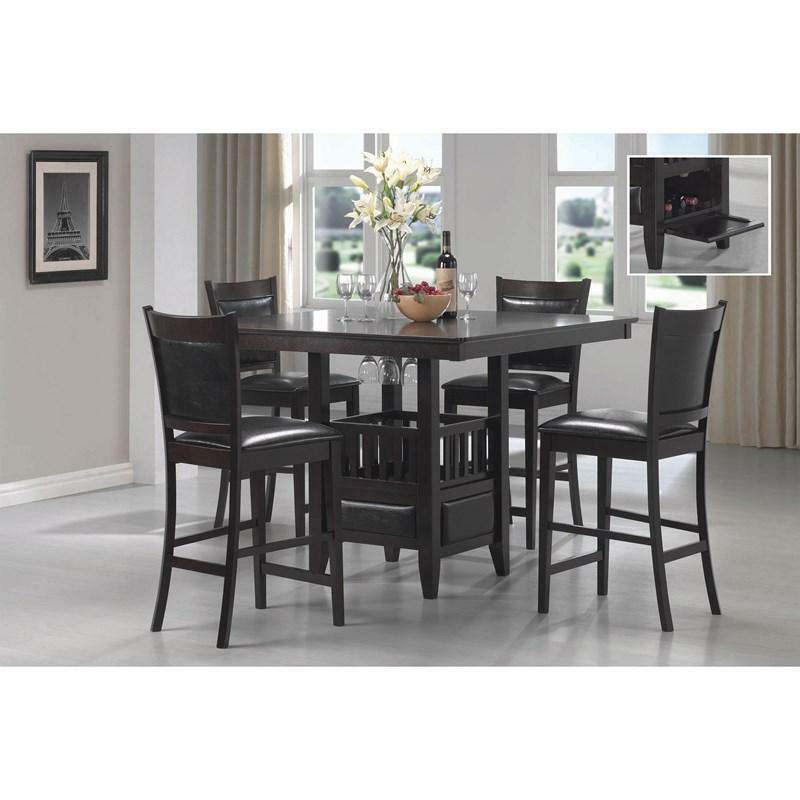 It can be paired with the matching dining stools to complete this set.